Do you want to contribute to the process for the canonization of Blessed Louis and Zelie Martin, the parents of St. Therese of Lisieux? Blessed Louis and Zelie Martin, the parents of St. Therese of Lisieux, are closer to being canonized than ever before. The Pilgrimage Office at the Shrine of Lisieux has announced that on Tuesday, May 21, 2013, the diocesan process in Valencia, Spain to examine whether the healing of a little girl named Carmen is a miracle attributed to the intercession of the Martin spouses will hold its closing ceremony. Then the file will be sent to Rome for a final decision in the matter of their canonization. As the tribunal finishes its work, a work of the faithful begins. Guiding a cause from beatification to canonization is very expensive: in this case, trips to Spain, fees to medical specialists, costs for accommodation, duplicating and printing transcripts, and other costs. 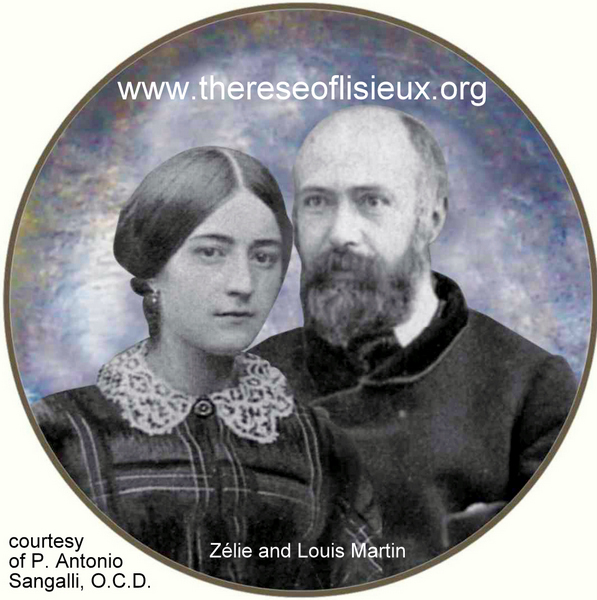 The Cause of the Martin spouses is asking the friends of Blessed Louis and Zelie Martin for the necessary support, and Mgr. Lagoutte, Rector of the Basilica at Lisieux, has launched an appeal for that purpose. We have translated into English the brochure with details; please view and download it here. See the home page of the appeal (which is in French). Please feel free to print and circulate the brochure and to e-mail it or post it on your own page. Louis and Zelie supported many charitable and religious activities generously, and Louis wrote "Give, go on giving, and make people happy." Please prayerfully consider making a gift to their cause. And please continue to pray that the Holy Spirit enlightens the Church in this matter. Thank you.